Learn, Love & Live the Quran... Everyday! Discover technology-based resources to connect with the Quran in these modern times. Thank you for taking the time to visit Quran Academy. We really appreciate you being here and hope you enjoy exploring all the resources we have made available to help you engage the Quran daily. Our best-rated Quran memorization app. Free articles with tips, lessons, and inspirations to deepen your relationship with the Quran in your daily life. Discover current and upcoming digital courses, plus other resources to take you to the next level of learning and living the Quran. A beautiful online Quran reading experience with social features to easily share your favourite ayahs with custom backgrounds. At Quran Academy, we have a vision to integrate the timeless guidance of the Quran back into the daily lives of Muslims. That is why we are dedicated on our mission to create a unique suite of Quran apps that are fun, easy, social, and hence relatable to the common Muslim living in today's modern world. We believe that technology can seamlessly keep you connected with the Quran in today's busy, modern lifestyle. We also believe in the power of human relationships. After all, social connection is a big part of Islam, which is reflected in obligations and sunnah like zakat, praying in congregation, and eating meals with company. That's why at Quran Academy, we strive to combine both technology and the power of human relationships to help you learn, love and live the Quran. All our resources, products and services are carefully designed to combine technology with social connection and access to experts that makes engaging with the Quran daily super-easy and beneficial, Insha'Allah. 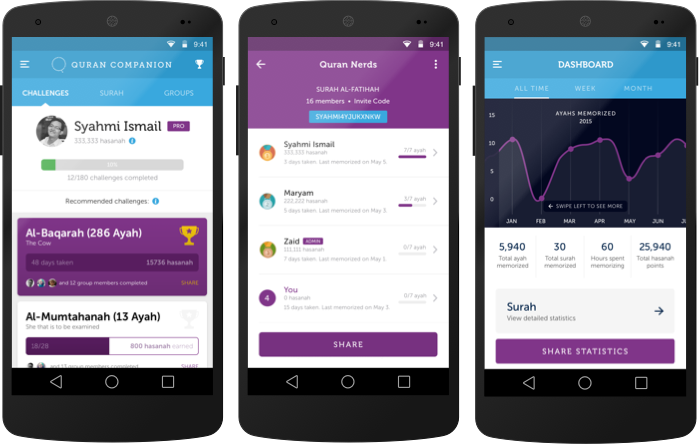 Discover our best-rated Quran memorization app. Get free articles from our blog. Experience our Quran Reading Web App with beautiful social features. Bilal Memon is a hafiz and former financial analyst turned award-winning entrepreneur from New York who founded Quran Academy in 2014. He first memorized the Quran at the age of 11. However, due to a busy lifestyle, he had forgotten the Quran by the time he reached college. He endeavoured to memorize the Quran again and achieved it in 6 months. 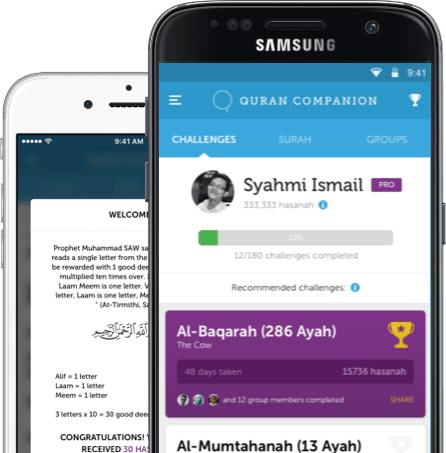 From this experience, he founded Quran Academy and created Quran Companion with a vision to make learning and memorizing the Quran easy, fun and social for busy, modern Muslims. Do you want Quran inspirations and resources sent to you weekly? Join Quran Academy's newsletter and also get this ebook, FREE!